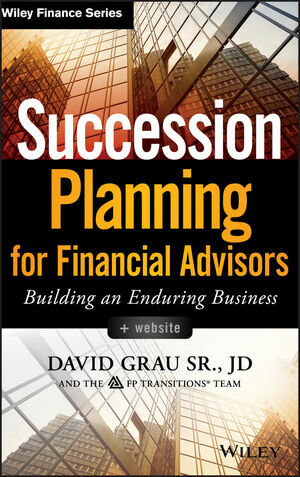 DAVID GRAU SR., JD, is the founder and president of FP Transitions, a firm that specializes in building financial services businesses of enduring and transferable value. He has authored over 85 nationally published articles, white papers, and manuals on complex succession strategies, equity management, business continuity, income-perpetuation plans, and mergers and acquisitions. Grau Sr. was named one of the most influential people in the profession in an industry survey by Financial Planning magazine and is a nationally recognized expert on succession planning and business-perpetuation strategies in the financial services industry.